We’re in the home stretch. This critical piece of legislation is on its way to the President’s desk for his signature. We look forward to President Obama signing it into law; our nation’s first major piece of civil rights legislation for lesbian, gay, bisexual and transgender people. Too many in our community have been devastated by hate violence. We now can begin the important steps to erasing hate in our country. 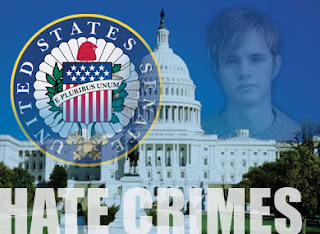 Homophobia has fueled carnage since Matthew Shepard's murder 11 years ago. The Matthew Shepard Amendment is the beginning, not the end, in recognizing, addressing and eliminating homophobia in our schools, neighborhoods and culture.